Happy Tuesday, ya'll! And, happy new school year to all the educators out there! This school year is already off to a great start with Monday and Tuesday's information filled days. Sorry, I have been slacking with my regular blog posts lately, but Sooper and I have been "busy relaxing" meaning both busy and relaxing at the same time. :) I can't complain, but it did cause "The Tiny Librarian" (blog, not the actual tiny librarian) to suffer! More about my new favorite accessory...the monogrammed initial necklace! I have been wanting to write a new post about my great monogrammed initial necklace from Abeille NOLA. If you are a regular blog follower, you know I have featured this amazing NOLA boutique and its very sweet and fashionable owner, Meg O'Reilly. 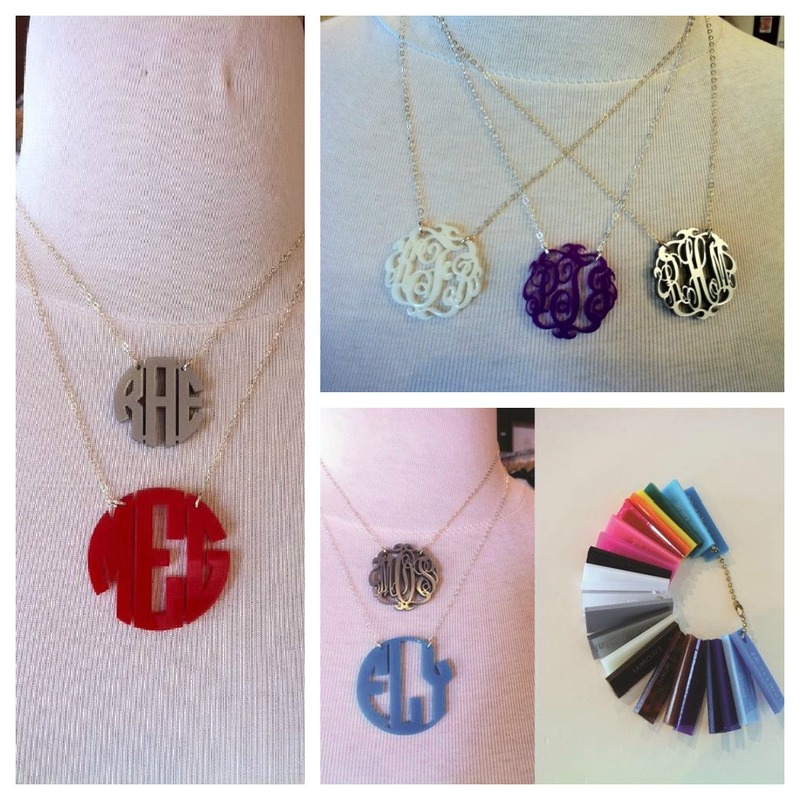 The monogrammed necklace is so versatile and fun, because it can be personalized with three different sizes (S, M, L), different fonts (block or script), acrylic colors (so many to choose from!) or gold/silver, and any initials or creative three letters. My new haircut...and a close up of my JBW necklace! I love my blogger friend Lauren @ Warm & Fuzzy and especially how adorable she looks wearing her purple and gold (for LSU, of course!) monogrammed initial necklace! Here is a great picture of her from Friday's Brothers Under the Sun Tim McGraw/Kenny Chesney concert. Check out Abeille NOLA on Facebook or Twitter (@AbeilleNOLA). Or, you can call 504-324-3488 to order your custom monogrammed necklace! Order yours soon because it takes a while for your necklace to arrive! Have a great Tiny's Trendy Tuesday! 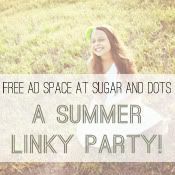 Thanks for featuring me and my fancy smancy new necklace Julie!! I LOVE IT!! Hi Julie! Such a cute necklace and I love the purple one Lauren is wearing at the concert (great concert btw, I saw them in Tampa). I am your newest follower and I really hope you will stop over for a visit. Love to have you! The necklace makes a great gift idea! It's not my first time to go to see this website, i am browsing this web page dailly and obtain fastidious facts from here every day. Excellent site you've got here.. It's difficult to find high quality writing like yours these days. The world hopes for even more passionate writers such as you who aren't afraid to say how they believe. At all times follow your heart. A friend of mine has a rose gold initial necklace, apparently her mother got it for her when she was young. A companion of mine has a nakamol wrap bracelets, clearly her mom got it for her when she was youthful.